While we have discussed a little bit about overalls before, this will be a quick study of the evolution of the overalls up until the 1930s. The first “modern” examples of overalls comes around the 1830s. 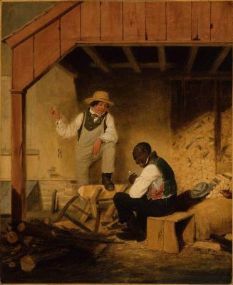 The painting above is called “In The Woodshed” by James Clonney, c. 1838. It shows the apron is a clear separate piece sewn to the waist of the trousers and is made of two pieces. 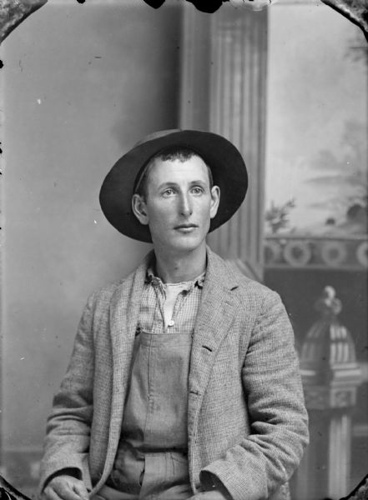 By the 1850s, the overalls became a single piece and worn over the trousers. The standard colors slowly become standardized with white being for painters, pin stripped for rail road workers, and finally the blue shades for the rest of the working class. 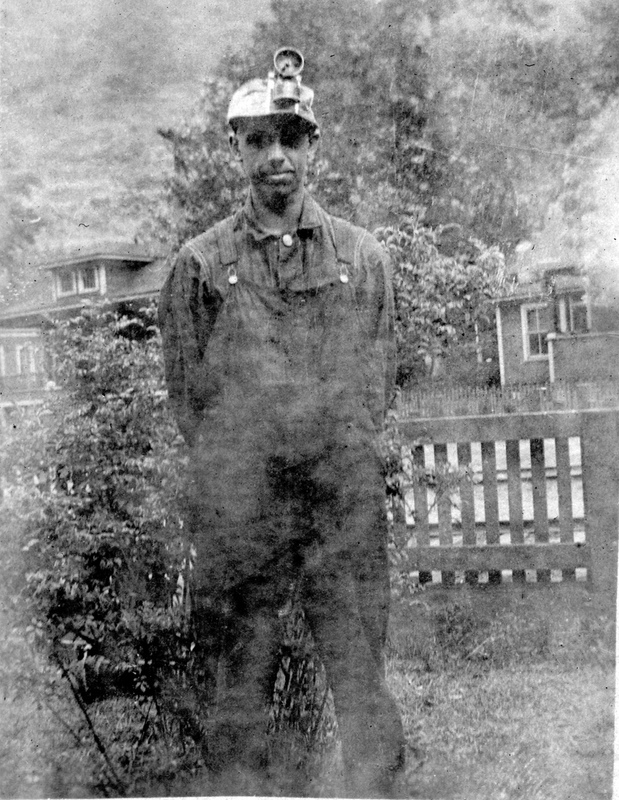 Overalls tended to be a mass produced item of clothing with the first commercial “do it at home” patterns for these garments coming out in the early 1870’s. The straps are generally fairly narrow and can be either stitched or buttoned at the rear and at this time it seems that pre-1874 overalls usually have a button instead of a buckle to secure the straps in place on front of the chest. This style would remain similar in pattern until the early 1900s with some stylistic changes. 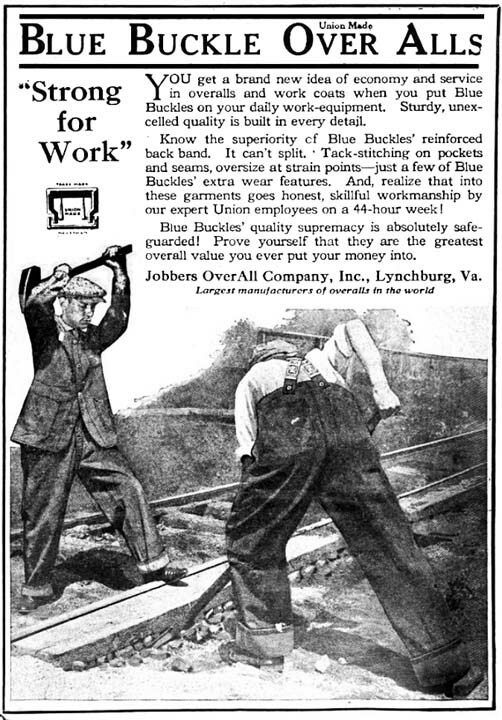 The one-piece work overall arrived in 1891-1916 to fit over a shirt or vest and trousers. 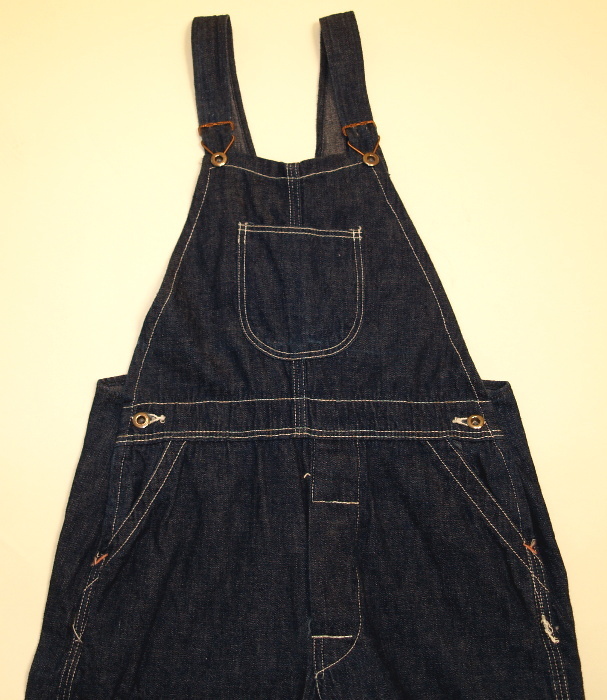 The most common material for overalls for this period is going to be denim and to a lesser extent waterproof material. The slits tend to be reinforced to prevent tearing. The garments for this time period can be without pockets but it seems that two patch pockets in the front below the waist level is very common as are two back patch pockets in addition. Pockets on the bib are correct for this time period but they don’t appear to be as large as modern examples. This final example is from a pair of overalls that date from the late 20s.